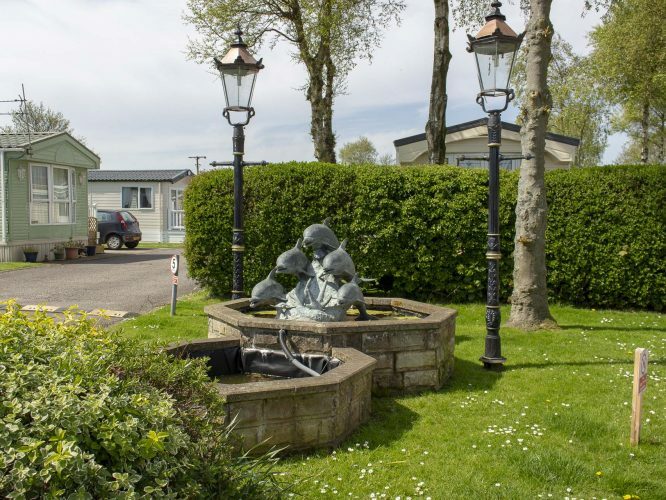 Glenfield Leisure Park is set in beautifully landscaped grounds and peaceful countryside, in the village of Pilling just outside Knott End on Sea. 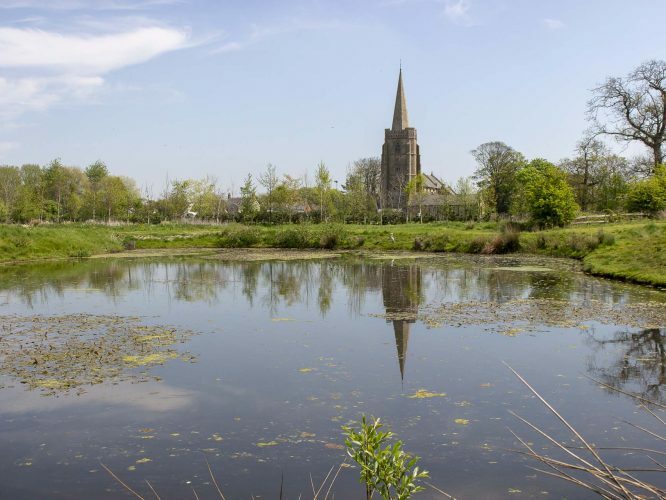 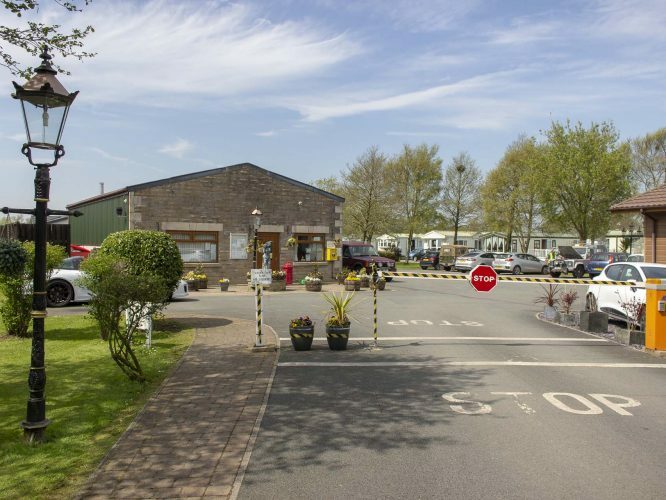 With its own fully stocked fishing lake and a large dog walking area, the park is completely flat with all tarmac roads, vintage street lighting and it also benefits from 24-hour CCTV, free wifi, and a security barrier at the entrance. 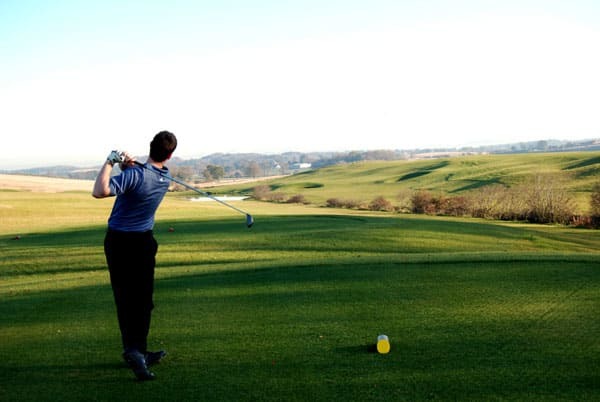 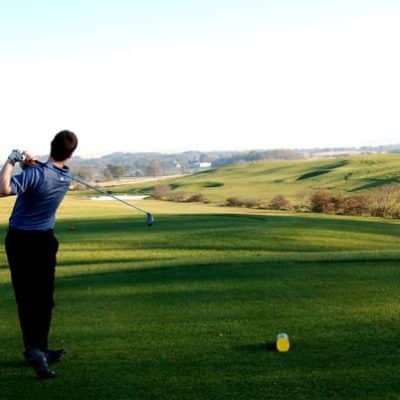 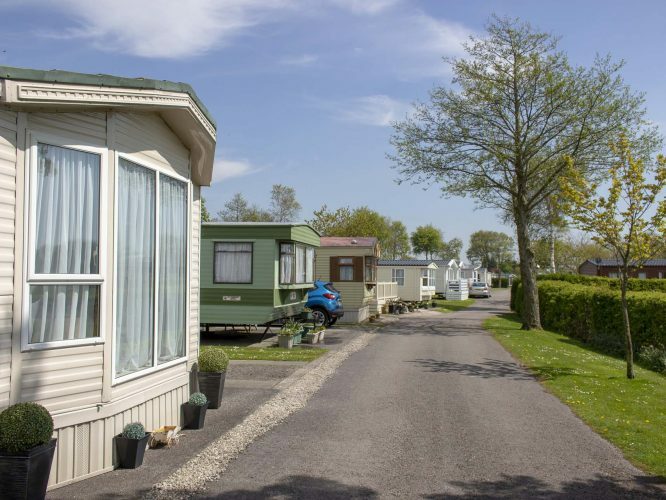 Glenfield Leisure Park is within easy reach of Blackpool, Morecambe, and the smaller Fylde coast resorts, historic Lancaster and the Forest of Bowland are all close by. 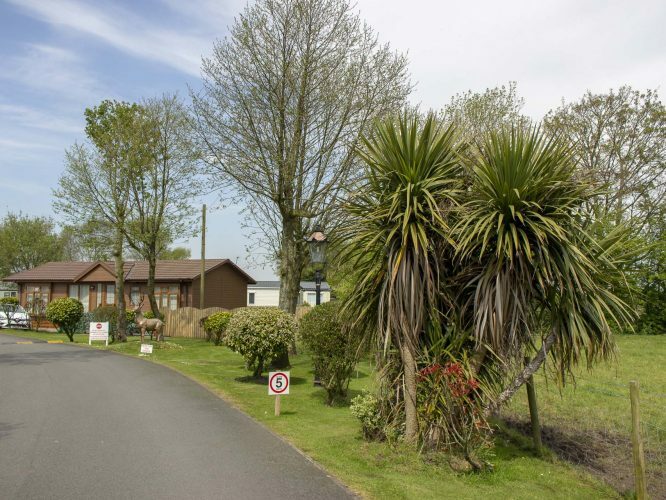 The Lake District is only one hour’s drive away, offering hiking, sailing and mountaineering. 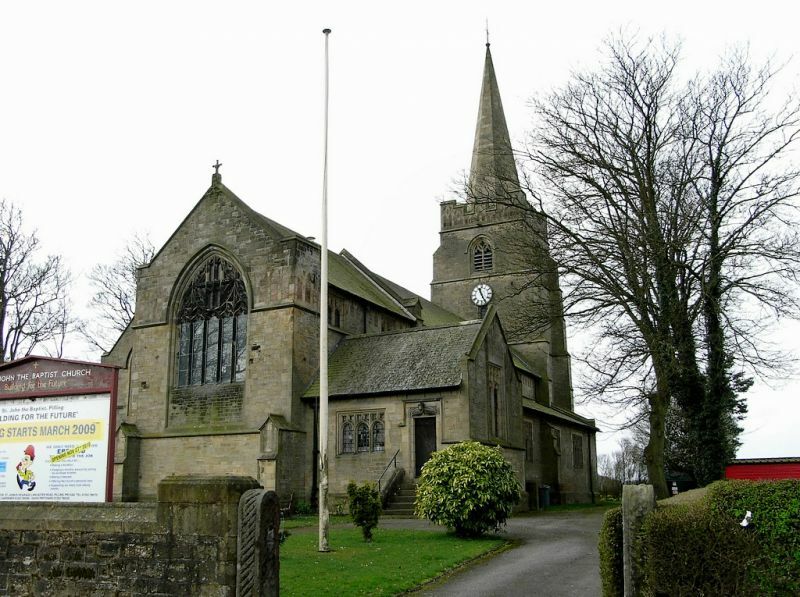 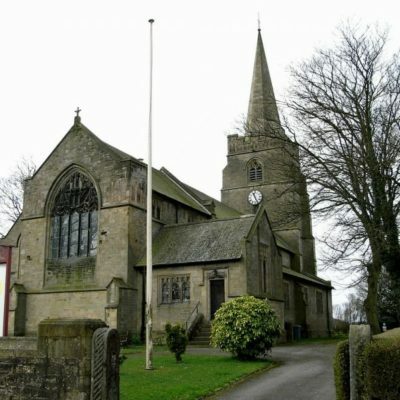 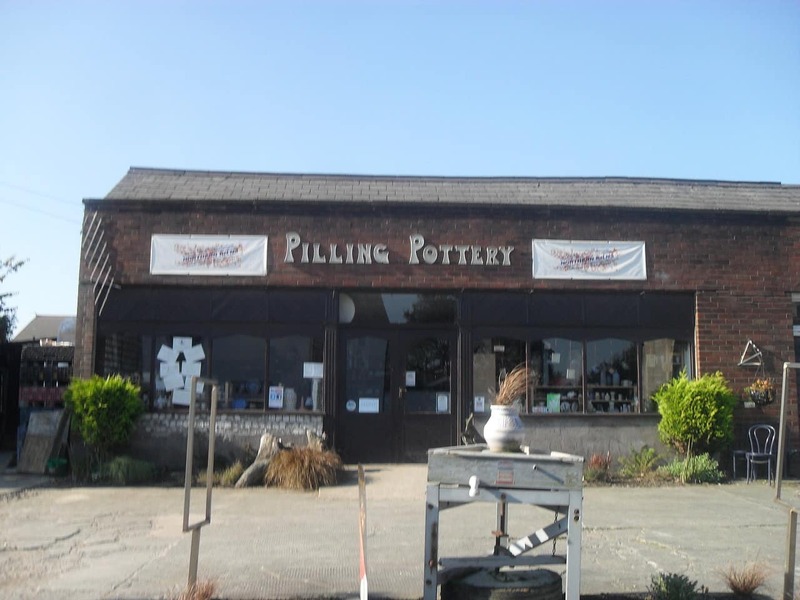 The picturesque village of Pilling, with a Post Office and local stores, caters for most household needs. 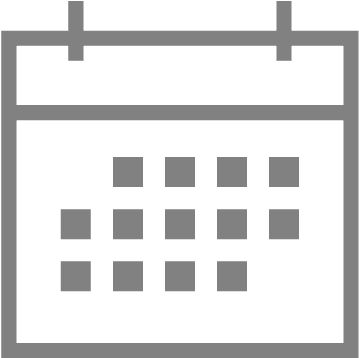 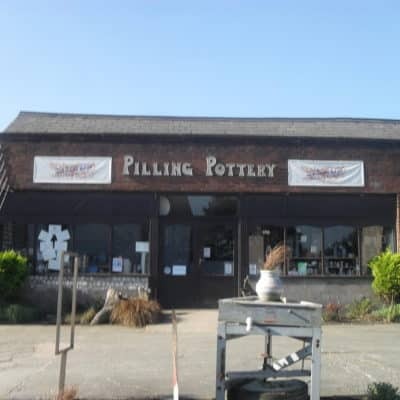 With a bus stop right at the park entrance, the Pilling Pottery offering classes and a restaurant next door and several golf courses nearby, there will always be something interesting to do. 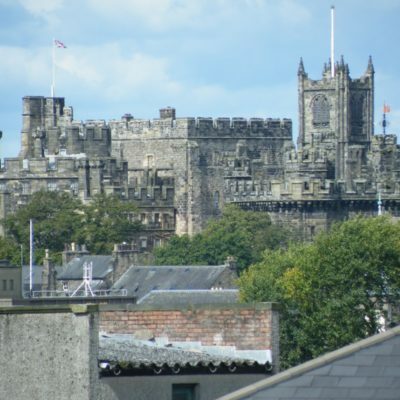 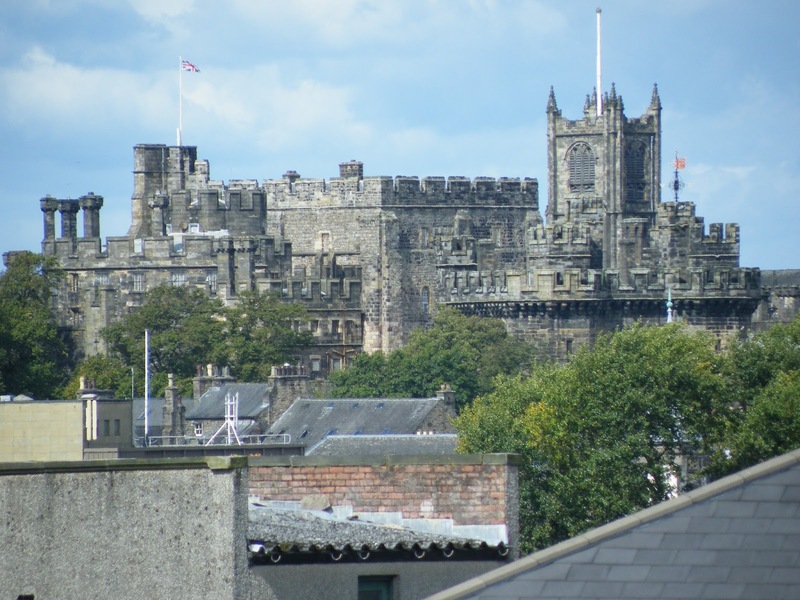 The park is less than 12 miles from Blackpool and 10 miles from Lancaster. 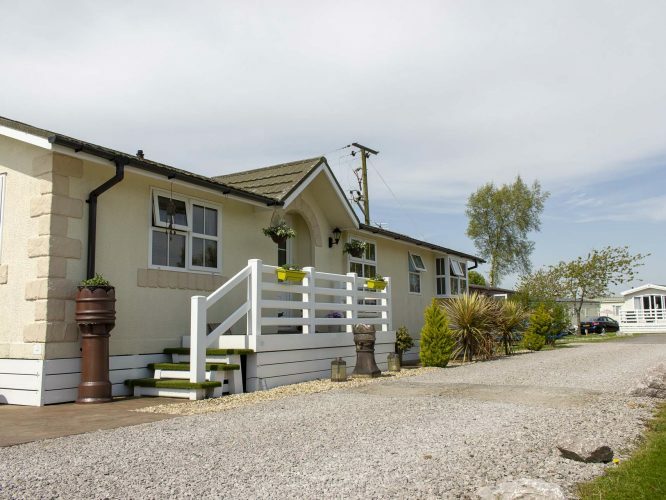 Motorway access to the M6 is only 7 miles. 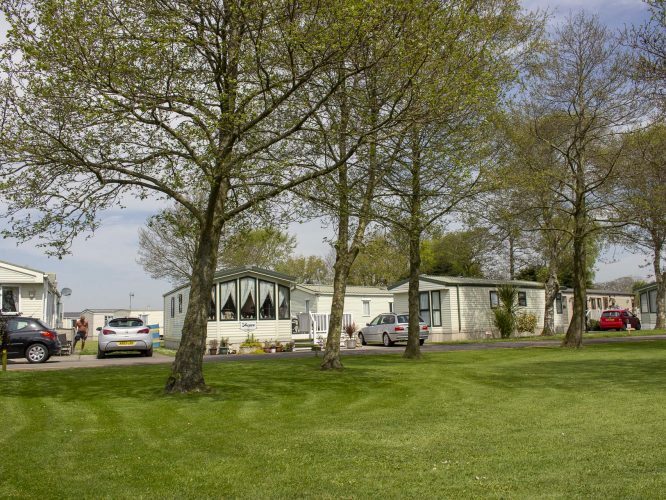 The park is surrounded by open fields which enhances the tranquil setting. 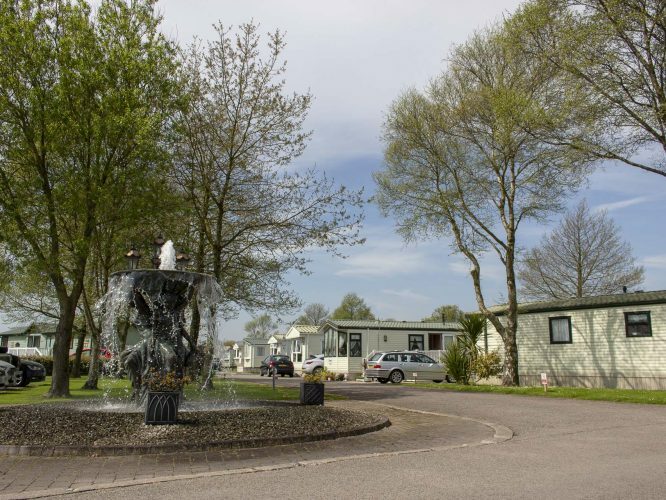 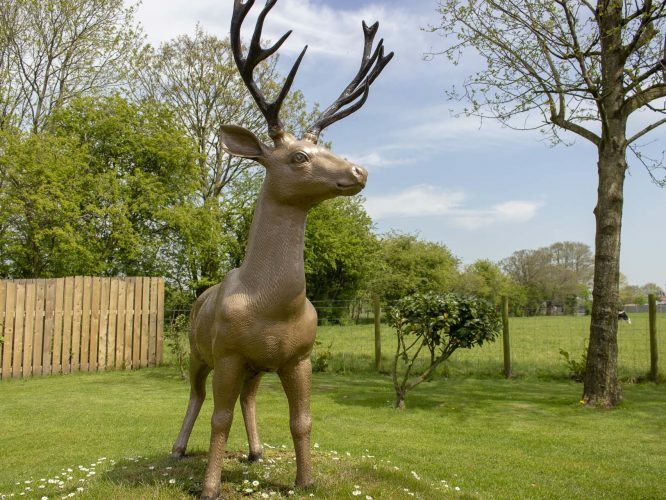 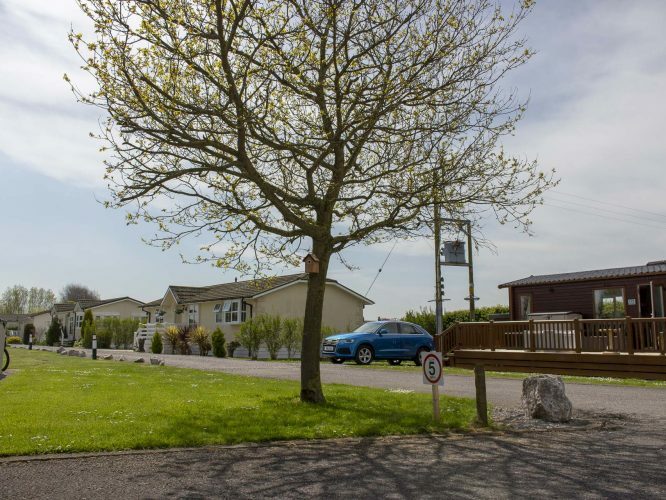 Glenfield caravan park is extremely well maintained with 150 lodge & holiday home pitches, the park has extensive landscaping throughout with trees, flowers and gardens. 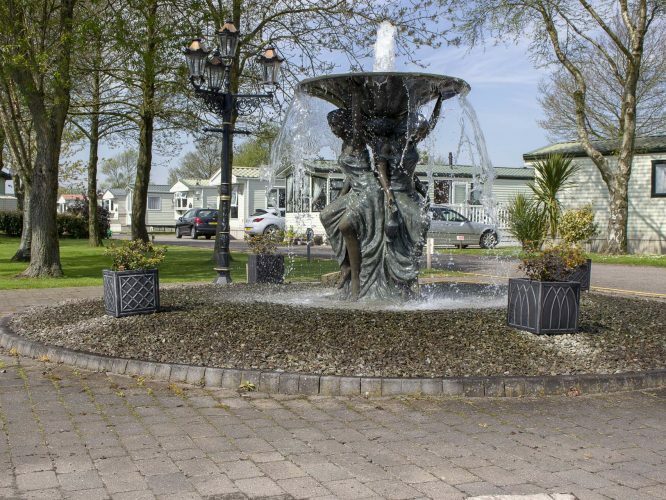 There are many fountains and statues located around the park which gives the park a unique character. 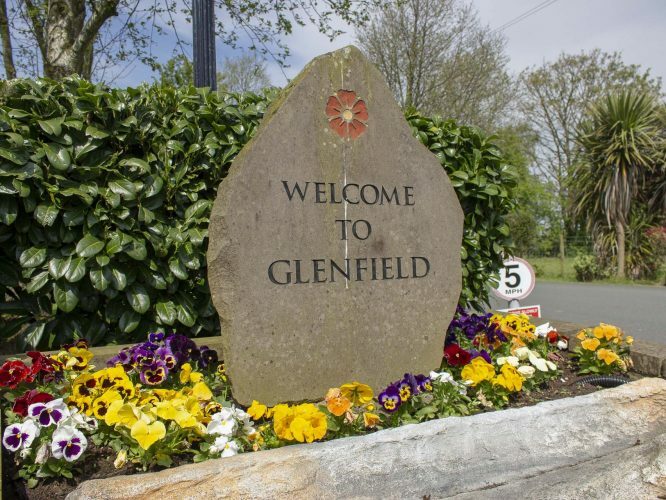 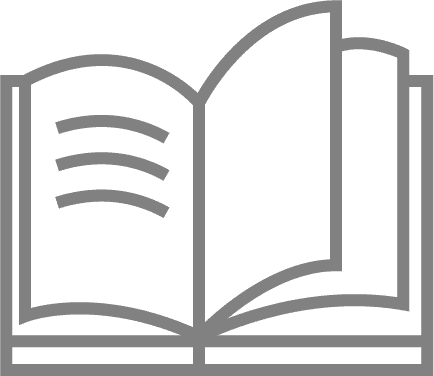 We always have a range if new and pre-loved home for sale, click here to view homes for sale at Glenfield Leisure Park.